Its been confirmed that the third tram to be preserved by the LTT is boat 605. 605 is unique in that although it carries a wartime livery, it is actually fictional as the boats never actually carried this livery. This move means that 605 is now technically withdrawn and will soon be moved off site to the LTT premises. As only 3 of the boats are being kept for the heritage fleet following 2012, this looks likely to be up of 600, 602 and 604. Long time stored 607 is expected to be reactivated for 2010 to go to Beamish museum in Northumberland on loan to allow Marton 31 to return to Blackpool for the 125 celebrations. Added to the news about 605 being restored is the news that orphaned twin trailer 687 has been donated to the LTT for use as a donor vehicle to provide parts for restorations to 279 (former towing car 679), 269, 632 and 703. This winters trackwork has commenced between Central Pier and North Pier with the old paving and track removed between Central Pier and the Tower. The fitting of Door Pods to allow the Refurbished Balloons to remain in service beyond 2012 has commenced. 720 has already been completed whilst work has commenced on 713. 711, 718 and 719 are expected to follow this winter. One car which wont be treated is 723 which, although it is a refurbished balloon, didnt receive a new underframe when overhauled in 1992, the underframe was only refurbished. 723 will be withdrawn along with the unrefurbished examples in 2012. The results of this treatment may see these balloons confined to depot until 2011 as the trackwork has still to be replaced, slightly further apart north of North Pier thus confining their use to the Pleasure Beach - North Pier section. If these balloons are confined to depot then we may see more use from the unrefurbished balloons and the twin cars on service before they go for good in 2012. Brush Car 627 made history on Sunday Night as it became the last first generation tram to reach Fleetwood Ferry. 627, which has been mothballed for the last 5 years, returned to service for a one off occassion to operate on a special last night tour. The use of 627 was especially significant as back in 1963, whilst still numbered 290, operated the last ever service from North Station. 627 was joined on the final tour by Balloon 702 and Fleetwood 40 with the trio not returning to depot until approx 3am. Also during the weekend, farewell tours were operated by 304, 660, 706, 700, 623, 712 and 673+683. 717 became the final service tram to operate to Fleetwood Ferry. With the end of an Era also comes the end of the season. Of course the traditional tramway will still be present between Pleasure Beach and Ash St when the system reopens in April and there is the 125 celebrations to look forward to next year as well. 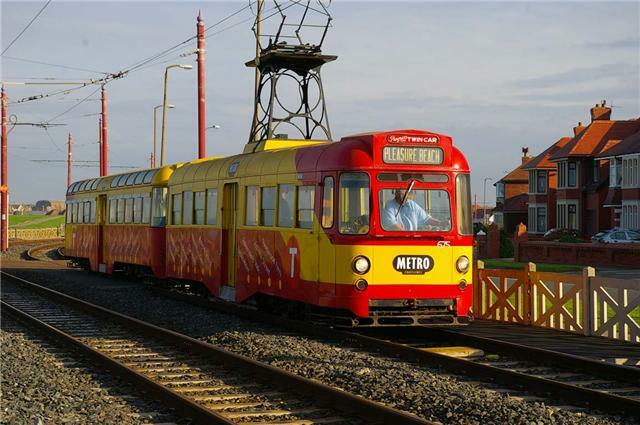 The make up of the fleet will be interesting next year as well with a number of the refurbished balloons and millenium cars expected to be out of service for modifications to make them compatable with the platforms for the new trams. This could see the unrefurbished balloons and the remaining servicable twin cars see more use. Could this mean a return to regular use of Balloon 702 which has seen very little use over the last 2 years? Could 671+681 be re-instated, could 674+684 be used following a season stuck in depot? What about the single deckers, could we see a return to service for 626 and /or 680 to boost the early season fleet. What about 627 returning to service after 5 years in store and managing a couple of runs on the full system, could it return to service? Will 622 remain in service? The vintage cars and boats could see some extensive use as well. 600 will return to service, 66 and 147 will also run. What trams will visit the tramway next year? 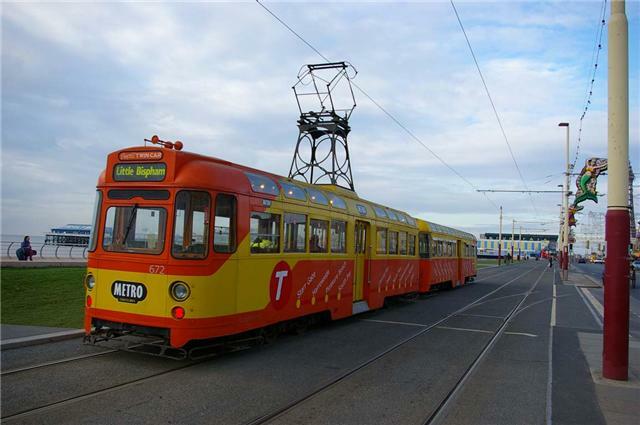 Which trams will go out on loan to museums? In only 5 months time, things will start to get clearer. The English Half Term holiday week is reported to have seen one of the largest turnouts of Vintage Tram usage in a while with a couple of surprises thrown in as well. Due to the mild weather for the time of the year, the three servicable boats 602, 604 and 605 as well as Replica Vanguard 619 saw some extensive use during the week. Open topped Balloon 706 also saw some use as well following a reliatively quiet season for the popular open-topper. Also noted in use was Fleetwood 40 (which has also had a quiet season), Bolton 66 and Standard 147. Coronation 304 has also been noted out on specials, but the biggest surprise of all was that Stockport 5, the tram which if you remember is supposedly mothballed, appeared on specials and even on an illuminations tour on at least 2 days during the week. Also noted in service were 3 twin sets (672+682, 673+683 and 675+685), 3 brush cars (622, 630 and 631) and the usual centenary, jubillee, balloon and millenium trams. Balloon 722 will be no more in a matter of days as work progresses rapidly in the scrapping of this tram, the top deck is already history and now only the frame of the lower deck remains. However it is reported that some parts from 722 will go to help the LTT with their current restoration projects (Standard 143 and Railcoach 279). It has also been confirmed that no more trams will be scrapped in the near future, that 722 has only met its maker due to the fact that there was space in the body shop and the tram was only a shell, having already been stripped on spare parts. After the depressing news regarding 722 being scrapped, there is finally some good news. The LTT have confirmed that they have saved Balloon 703 and Brush 632 for preservation, further adding to their ever growing collection. 703 is the perfect example of a 1960's style balloon. She retains a number of features from this era including the interior plastic ceiling panels, exposed bulb lighting, half drop windows, curved roof windows, swing-over seats, curved end windows, wooden interior panelling on the sides of both stair cases and in the vestibules. However 703 will require a large amount of work as the tram has a leaky roof and the ends both droop down. 703 also hasnt been overhauled for many years. This excellent news means that an example of a 1960's refurbished Balloon will remain in existance (and hopefully see some use) in Blackpool. 632 is also an excellent example of a 1960's era Brush Car. Although the tram was withdrawn in 2004, it remains in excellent condition, having had extensive work carried out to its underframe during the 1990's. It also retains swing-over seating and has plastic ceiling panels. The only major change is that the tram has ex OMO-hopper windows in place of the half drop windows previously carried. 632 will also compliment Brush 624 (the ex engineering tram 259), which is also now owned by the LTT who are hoping to restore 624 back to original condition. Apparently talks are underway regarding the saving of a third tram however at present the identity of this tram is not known. Personally I hope that it is either a twin car or an ex towing railcoach. If nothing else, the saving of these trams means that another part of Blackpool Tramway Heritage is saved for future generations to enjoy. Work progressed during this week on the scrapping of Balloon 722. The tram now has most of its pannelling removed and the cab ends and some windows. See the photo of this on Blackpooltrams.info website. 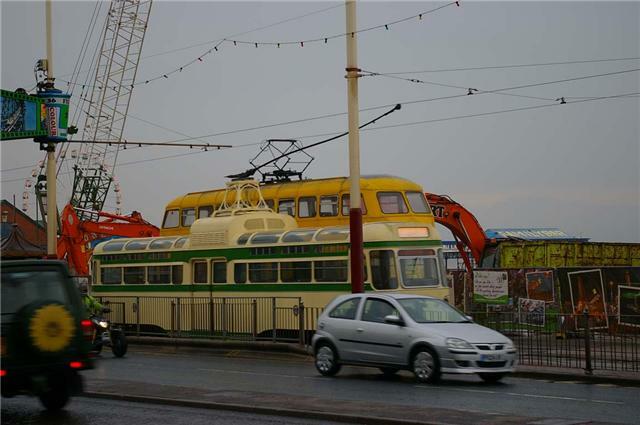 Blackpool Trams.info and Tramways Monthly are reporting that in a shock move Balloon 722 has been moved to the body shop for a start to be made on scrapping the tram. It is rumoured that further trams will follow over this coming winter. This move comes as part of a downsizing of the fleet due to some of the depot tracks being decommissioned due to worn-out tracks. Boat 600 is currently receiving what is probably it's most extensive overhaul in its 75 year history. The tram has been stripped down to its underframe for a complete overhaul. The tram is expected to receive a heritage restoration which may include seats being stripped back to their original varnish. The only moden day concession is likely to be the inclusion of the new style lifeguards as fitted to 713 and 717. Another piece of good news is that a further 2 boats are expected to be retained past 2012 to serve the tramway in the new era. 2 trams set to lose their adverts as Pontins and Orion Bingo close. Brush 622 and Centenary 641 are set to lose their current advertising liveries soon following the closure of the Companies currently advertised on both trams. For 641 it is likely that the tram will continue in service in a base coat but the future may be less bright for 622 as the tram is in poor condition and may well be withdrawn from service. Brush 627 set for come back? Brush 627 is expected to make a one off return to service after 5 years in store on Sunday 8th November. 627 is expected to operate on an FTS tour and as such will make history as the final tram of the current fleet to travel on the the Ash St - Fleetwood Ferry section. As well as making history, 627 will also be creating history as it was also the last tram to operate on the North Station service as 290 in 1963. See www.fyldetramwaysociety.co.uk for more information. Balloon 702 is also expected to operate and will become the last unrefurbished balloon to reach the ferry. Following the closure of the section of tramway between Pleasure Beach and Starr Gate, the number of trams required for service is reduced to 6 trams on the Fleetwood - Pleasure Beach service using 6 double deckers, with 4 trams now required for Pleasure Beach - Cleveleys using 4 single deckers. In the evening, the Cleveleys service is cut back to Bispham using 3 double deckers, with 6 single deckers being used on the Fleetwood service. The illuminated fleet continue to be the mainstay of the tours with the Western Train usually being first out. 147 and 66 have also seen use mainly at Weekends. Blackpool Transport are offering enthusiasts the chance to take part in Tram Driving Experience where you would get to drive a tram over the full tramway (except for Depot - Manchester Square and return)as well as receiving training for 1 day. So far, Brush Car 623 has seen use for this purpose. Details are avaliable on the Blackpool Transport Website although you must be 21 or over and have a full driving licence. The cost is £350. It has been noted that there are less trams in service this year, a number of trams have seen little or no use in service. Trams which have seen little use are - 702 (used for 2 hours on specials despite being in relatively good condition), 703 (did see a fair amount of use until withdrawal), 706 (saw little use until recently) 672+682, 673+683 (both sets have been used on private hires), 674+684, (no use as yet), 675+685 (couple of hours on specials and some tours), 40 (used once so far), 622 (use has been sporadic, mainly confined to specials), 623 (has seen use on specials but mainly used for driver training). I'm going to Blackpool from Friday - Monday, an update will follow next week as well as some photographs. The section of tramway from Pleasure Beach - Starr Gate closes on Monday 7th September until Easter 2012 to allow for the relaying of track and the building of the new depot at Starr Gate. A final tour has been organised through British Trams Online using Fleetwood 40 on Sunday 6th September. Details can be found on the British Trams Online website. The link can be found here. Having returned to Blackpool for a short period of time this year, 636 has once again left Blackpool. 636 which was used as test vehicle for Stored Energy Technology from Derby had returned to Blackpool to test experimental motors which the company are developing, was recently bought by the company. Following the completion of the tests, 636 departed for Derby again on 28th July to an as yet uncertain future. Another Brush car with a much rosier future is the long time stored Brush Car 634. 634 has been bought by the Rushden Historical Transport Society and is expected to receive a repaint into a historical livery. The interior will also be painted but will be kept in its current style. There may also be a possibility that the tram may run again occasionally with the use of a generator set. 634 was new to Blackpool in 1937 and operated until 1963 on the North Station route before transferring to Rigby Road depot and the Promenade route. The tram continued to operate the Starr Gate - Fleetwood route until 2004 when it was mothballed and hasnt ran since. 634 is thought to be in a good condition having received an extensive overhaul in 1988/89 which included a new cab end and new OMO hopper windows. Balloon 719 has taken over the Donna's Dreamhouse from 723. The former Walls Ice Cream tram which was painted in all over blue but retaining the illuminated sections and mouldings from the Walls advert, has received side adverts for the charity in the illuminated boxes as well as the Donnas Dreamhouse name at both cab ends. 600 has recently been withdrawn for an overhaul and repaint. The tram is expected to retain its original shape and style, with the absence 720 style platform extensions. Boats 602 and 604 have been reinstated to service to cover for 600's withdrawal. It has been confirmed that the shuttle from North Pier to Ash St will operate this Sunday in addition to the normal timetabled service (although curtailed at Ash St)to ferry Passengers to Tram Sunday. The trams used are expected to be selected from 66, 147, 600, 605, 619, 700, 706 and 717 although it isnt guaranteed that all will be used (there might be different trams replacing if the weather is bad). Hopefully the Western train is stabled at the Ferry. Source: Blackpool Transport and Tramgen yahoo groups. There have been a number of rumours going round recently that balloon 703 has allegedly been withdrawn with a number of defects including a badly leaky roof and possible structural / underframe defects. Although this hasnt been confirmed by Blackpool Transport, the fact that 712 has received the same T Side adverts as 703 has been carrying for the last season for West Coast Builders Supplies surely adds fuel to the flames. If true the withdrawal of 703 would see the number of unrefurbished balloon cars in service to 6 (701, 702(part of the reserve fleet), 712, 715, 721, 726) 703 is said to contain the most original features carried by any of the remaining unrefurbished balloon cars. It was originally earmarked for withdrawal back in 2004 along with balloon 715. However 708 was deemed to be in a worse condition and was withdrawn instead. Of the remaining servicable balloons, 700, 717 and 719 have seen very little use recently, 701 has seen no use in passenger service so far this year nor has 702, whilst 715 and 726, although havent seen passenger service, have been used extensively on driver training. 703 has seen no use since mid June, 712 saw some use as a driver training tram before being added to the main service pool and has seen use on almost a daily basis since mid June. 721 has seen extensive use since Easter and this use has continued into the summer. 707, 709, 711, 713, 718, 723, 724, 761 and 762 have seen a large amount of use on service since the timetable change in May. It has been reported on the blackpool transport yahoo group that 647 is to receive advert vynals for B&M bargains. Brush Car 623, a member of the reserve pool has seen some use on specials recently as has Brush 622 which hasnt seen much use since the timetable change in May as the Cleveleys service Single Deckers transfer onto the Fleetwood service at night. Stockport 5 is expected to operate a tour this Saturday for the Friends of 5 group. Planning Permission has finally been granted for the building of the new tram depot at Starr Gate. Following a number of objections by local residents, the permission was granted after a vote by councillors on the planning committee. Next Sunday sees the annual Tram Sunday being held in Fleetwood. It is expected that there will be the usual tram service from North Pier to Fishermans Walk made up of vintage and trams of interest. It is hoped that the Western Train will make an appearance at the event in what could be the tram's last run to Fleetwood prior to the relaying of the tram lines. I will be there for the weekend from the Friday - Monday. Hopefully there should be news from the weekend and some photos on Monday night or Tuesday. With the closure of the Ash St - Fleetwood Ferry and Starr Gate - Pleasure Beach sections of the tramway for renewal from November and lasting for 3 years, some special tours are organised for the final Weekend of service on these stretches of line 8.11.09 and 9.11.09. That weekend will be your very last chance to catch a normal service tram from the current fleet on these stretches of line. The tours are organised by the LTT and details on the Blackpool Transport Yahoo Group and the TramGen message board state that in all, there will be 6 tours over the weekend over the full system using the following trams. See the Blackpool Transport messageboard for further details. Trams Magazine (Number 45)reports that Brush Car 636 has been sold to Stored Energy Technology from Derby. 636 had been on loan to them to allow for testing of a new bogie. the tram had been at Derby from November 2006, and had returned to the Tramway for testing in January this year. 636 is thought to be the Brush Car which has the most original features and until 2003 was the only tram of its type to retain roof windows. (These are now pannelled over but the glass remains in situ). Hopefully the sale of 636 will secure its long term future and allow it to be preserved in the future. Forgot to mention in the last update that the Western Train has now been officially launched and has operated some tours. It is also expected that the train will see use at Totally Transport next Sunday and at Tram Sunday in ?July before seeing daily use during the illuminations. Firstly I'd like to apologise for the lack of updates recently, this is due to computer problems (my broadband wasnt working). There has been quite a bit happening recently but the main piece of news is the funding recently being confirmed from the Government to complete the upgrade and buy the new trams. Further to the news that the section of tramway north of Ash St (Fisherman's Walk) is closing for 2 years from November, it has also been confirmed that the section from Pleasure Beach and Starr Gate will also close to allow work to commence on relaying the track and building the new depot at Starr Gate. The early summer service has started and as expected the Fleetwood - Starr Gate service is in the hands of the double deckers taking the pressure off the already depleted pool of single deckers. 700, 703, 707, 709, 711, 713, 717, 719, 721, 723, 724, 761 and 762 have been noted on this service in day time (7 required daily) with 5 single deckers required for the Cleveleys service which has been extended to Starr Gate. As in the previous 2 summers there has been early evening changeovers, however this year the 5 single deckers from the Cleveleys service are joined by a further 2 single deckers from depot whilst all doubles return to depot with only the basic 20 minute Starr Gate - Fleetwood and any specials remaining in service. Single deckers seeing use have been the Centenaries, 630, 631 and 737. 712 and 726 have seen use as Driver Training vehicles whilst 701, 702, 715 and 718 have seen no use as yet this year. 724 has been repainted receiving and all over blue advert for the Lyndene Hotel. 723 has been named 'Donna's Dreamhouse'. Due to a chronic shortage of single deckers which has seen trams such as the warship and standard 147 operate on service duties, Blackpool Transport has finally returned Brush 623 to service. 643 which has barely run for a number of weeks has also returned minus it's G-Casino vynals, leaving the tram with black sides and white ends with metro coastline branding. The shortage could so easily be eased by returning either one or both trams from 626 and 680. Even the return of 680 coupled with the return of 623 would free up either 630 or 631 to operate on the Fleetwood service. It remains to be seen whether this will happen, more likely they will try to struggle on as they are until the timetable change at the end of the month which may see the service converted to double decker operation. It was reported at the FTS depot tour that it is hoped that 720 would be back in service in time for the illuminations. At the moment the pod and the new style doors are only a trial for operation and if successful 10 balloons / millenium cars will be modified in this way, it was known which cars would be converted however it was expected that 707, 709, 713, 718, 720 and 724 would be amongst them. If successful 720 will operate in service, however it wont be able to operate south of Pleasure Beach for the time being. It is expected that after 2012 the balloons will be able to operate with only 1 conductor due to the installation of CCTV and power operated doors. Heritage fleet to keep original shape. Another piece of good news is that heritage cars 700, 706 and 717 and the boats will not be modified with pods, however this will limit them to heitage tours and mean that they will only be able to stop at Pleasure Beach, Tower and Bispham. following a recent depot shunt, 627 has found its self at the front of depot. As many of you will already know, Yahoo are closing their Geocities web hosting service down later on this year. As this site is part of Geocities, I'm currently looking into a new domain to host this site with. hopefully I should have some news on this soon. If I have time i will also tidy up the site a bit. I'm off to Blackpool from Friday - Monday and going on the FTS Depot Tour on Saturday, I hope to have a number of photos and a report on the weekend which I hope to add to this site and the fotopics site on either Monday or Tuesday Night. Balloon 721 has received a new black and gold advert for the Pleasure Beach replacing the previous all over white based Hot Ice advert, and by all accounts looks really smart. Whilst 721 has gained a new advert 701 and 719 have lost their adverts. 719 is in all over light blue replacing the Infusion advert carried previously whilst 701 loses the Palm Beach Hotel advert which was one of the most over the top all over adverts in the history of the tramway for a base coat of all over yellow. It has been reported by the Blackpool Gazzette that Blackpool transport have lodged a planning application for a new depot / visitor centre for the Heritage fleet next to what will become the new depot at Starr Gate. It is expected that the depot will be able to hold a fleet of 22 trams. It is difficult to predict which 22 cars this will be and if this is also including the LTT fleet as well. It is expected that it may be many years before this depot is built meaning Rigby Road will remain in use for a while to come. Speaking of Rigby Road, this weekend is the FTS events weekend. Saturday morining is the depot tour, followed by a special to Fleetwood. Twin Cars 672+682 and 675+685 are doing a system tour on Sunday whilst boat 600 and replica vanguard 619 are doing prom tours on Monday. Tickets for these events may still be availiable, visit the FTS website for more details. Last Wednesday saw the Western Train out on test for the first time, it ran from depot to Little Bispham and back again and from the photos I've seen of it, it looks superb. With the start of Easter now on us, and the amount of visitors apparently double last years numbers, the Cleveleys service and specials have returned as well as the full length service. With the reduction in the amount of single deckers availiable following the withdrawal of 626 and 680, there has been a mixed bag on the main service. Illuminated Trawler 737 has been on the Fleetwood service and that isnt really a viable option considering if it gets turned short all the passengers would be facing backwards, 736 would be even worse as it would have to run out of service if it had to turn short as it only has doors on one side. 622 has also seen use on the Cleveleys service along with 630 and 631. Specials have seen 700,707, 709, 711, 713, 717 ,724, 147, 600 and 605 seeing use so far. It is reported on the Blackpool Gazzette website that a £20 million new depot will be built at Starr Gate for the new fleet of trams. I'm not sure about the location being all that suitable but the upside is that the existing depot at Rigby Road will remain and this is good new for the current fleet at their will not be the same rush to get rid of the old cars now and maybe even more will be kept. The full tramway reopened yesterday with 7 trams operating during the day and 5 at night. There was a mixture of centenaries and jubilee trams operating the service. 645 has been outshopped in a new advert for Jet2.com. The advert is mainly red with some contravision on the windows. 719 has also had its Pleasure Beach advert removed and is currently in all over blue. It is not known if the tram will receive a new all advert or if it will be painted into a Metro Livery. I think an all over advert is more likely. Trams Magazine (issue 44) reports that as well as 671+681 and 680 being withdrawn, Brush Car 626 and boat cars 602 and 604 have also been withdrawn. The withdrawal of 626 (and 680) seems a bizarre choice considering Blackpool Transport are planning to operate the main service using single deckers on most days until July and are already short of single deckers with both 642 and 647 expected to be held in reserve. 626 would be well suited to the Fleetwood route as it has Heaters and Halogen headlamps. Of the single deckers availiable for service 641, 643, 644, 645, 646, 648, 630 and 631 can operate to Fleetwood after dark, 622 cannot as it doesnt have Halogen Headlights, 623 is a reserve car and also doesnt have Halogen Headlights and cant opeerate to fleetwood after dark, 642 and 647 are also reserve cars meaning that 9 cars are availiable for Fleetwood service with 7 required, one cant operate after dark and if the Centenary cars break down again as per usual, double deckers will have to be used in their place. 602 and 604 being withdrawn is also bizarre as the boats are the most popular trams in Blackpool and the withdrawal of 2 of these trams means that less people can enjoy a run along the prom on a warm sunny day on an open top tram. It is reported that the main pool this year will consist of 37 trams with 14 in reserve. Unsurprisingly the main pool is mainly made up of Balloon and Millenium Cars. Balloon 702 remains in reserve for another year. It has been reported that 671+681 and 680 have been mothballed. 671+681 saw no use at all in service last year so it was really no surprise that this set didnt re-appear especially as the other 4 serviceable sets only really saw extensive use on the last week of the season. The withdrawal of 680 came as a surprise as it is a popular tram, in good condition and saw regular use last year, this will be the first year since 1932 that there has been no railcoaches in service as 678 was withdrawn in 2006 and 679 in 2004. The lack of an advert could have been a major factor in this decision. Brush car 626, which spent most of last year as a reserve car will probably see more use this year in its place. Another surprising piece of news is that 710 will now receive a major overhaul following the completion of 720. It was expected that 708 was next to be done. Surely this decision puts the future of 708 in some doubt. 762 has been outshopped in a new advert for Re:Blackpool. The advert is mainly green with a large contravision photograph on each side with photographs of the work being done on the prom. The service is currently operating between Pleasure Beach and Little Bispham using only 4 trams to maintain the 20 minute headway. This is being operated mainly by Centenary Cars but also the occasional Jubilee Car. Overall it doesnt look too good for 722. Now that a number of parts are starting to be removed, it is likely to end up similar to 704 and 716 in that they have been almost completely stripped of useful parts or used as a store for seats and other parts. The future for 704, 710, 716 and 722 is looking bleak. Tramgen newsgroup reports that Brush 636 has returned to Blackpool for testing of a new type of bogie. Other than the new bogie, the tram remains the same as it was when it was in passenger service. It is expected that 636 will be tested between Pleasure Beach and Starr Gate. The tramway will be closed north of Little Bispham from Monday up until Easter to allow for track replacement to take place on the Orion Curve at Cleveleys. Also there is no tram service between Pleasure Beach and Starr Gate to allow for testing of 636 (see story above), however it is not known whether this section will be closed until Easter as well or will reopen earlier. There will be a service operating between Pleasure Beach and Little Bispham during this time. Helmut Gieramm has sent me a link to a video he has taken at Blackpool between 1987 and 1996. This video was taken at Various locations over the system and features a number of the OMO trams (including 2 of them being scrapped, possibly 6 and 9) the centenary trams when new, many balloon cars including 709, 718 and 724 before their rebuilds, 633 when it was still a Brush car, the rocket, western train, hover tram and warship. The video has been added to the Deutsche Bahn railway archives and can be found in their archives on their website. Hope you all enjoy viewing it as much as I did!! !